SR Timber has agreed a sponsorship deal in which its local football team’s ground in Nottinghamshire will become the SR Timber Arena. 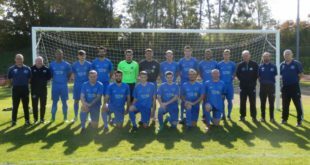 The “Tevie Boys” is a club close to the company’s headquarters in Huthwaite and, as well as staff supporting the club, one of the factors behind the sponsorship was that the club has a strong youth system and women’s football team. 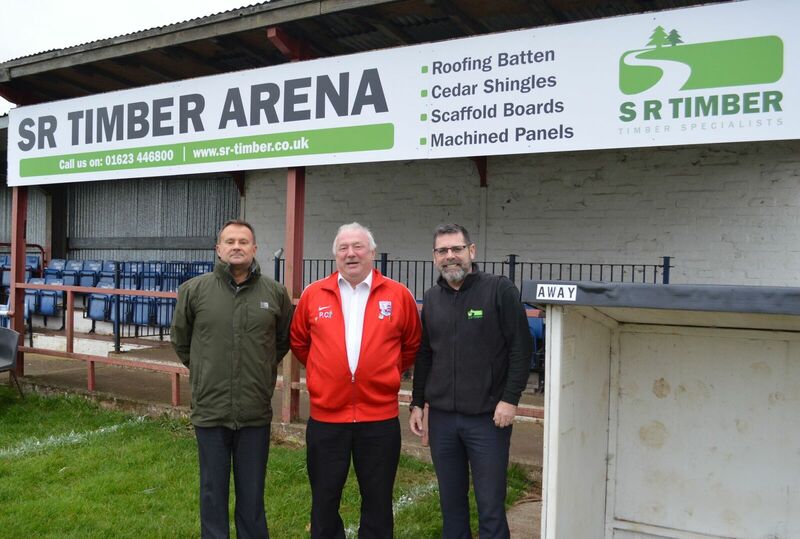 The sponsorship deal coincides with the club’s centenary, and SR Timber’s Trading Director Shaun Revill and Operations Manager Steve Hill joined club Chairman Peter Cockerill to unveil the new signage at the club. 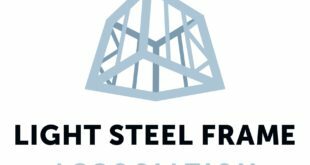 Revill said that although the company has grown to become the UK’s leading supplier of roofing batten, its origins are firmly root ed in the area, and the sponsorship was a way for the company to give back to the community. “Teversal Football Club is a focal point for the local community, and we wanted to do something to support the work it does in bringing through talented footballers of all ages and sexes,” said Shaun. 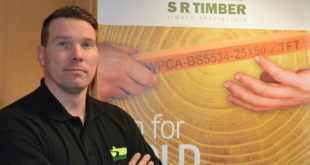 “It makes me very proud that having come full circle back to the area where I first started in the timber industry – and now running the UK’s leading importer of roofing batten and other materials, such as shingles, scaffold board and timber panels – our company can give something back to the local community. 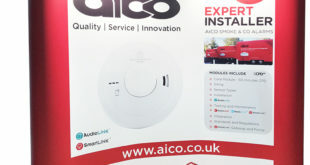 Teversal Football Club’s Chairman Peter Cockerill said that he was delighted that a business with strong roots in the area was keen to support the local club. “We are thrilled to announce a sponsorship agreement that will see Teversal Football Club playing its home games at the SR Timber Arena,” said Cockerill. “The sponsorship deal couldn’t have come at a better time, as we celebrate 100 years of the club this year. SR Timber’s support feels like the best birthday present the club could have wished for. “Sponsorship is absolutely vital to the survival of clubs like ours, and all the support we receive, both financial and the goodwill of local businesses, goes directly into running a club that is a focal point for the community in Teversal. As well as the sponsorship deal, the club and SR Timber are working closely together to mark the club’s centenary. The club recently hosted a fun day, starting with a 5-a-side tournament and culminating in a firework display. Nottingham Forest goalkeeper Jordan Smith was guest of honour to unveil a centenary plaque.